History has it that fans have from time and again resorted to extremes, when it comes to meeting their favourite superstars. Crazy stalkers, desperate admirers, celebrities have them all. Varun Dhawan too encountered such experience recently. On Sunday, a fan created a scene outside Varun’s Mumbai residence on not getting to meet the actor. As narrated by the security guards, the girl waited for long hours to meet VD, but when she was asked to leave, she lost her temper. She threatened to commit suicide and also kill the actor’s girlfriend Natasha Dalal. Reports suggest that a complaint has been filed against the fangirl. Angry Female Fan Threatens to KILL Varun Dhawan’s Girlfriend Natasha Dalal for This Strange Reason. A source from the security team had stated that she wait for hours in a hope to meet her beloved superstar. However, when she was asked to leave, without getting to meet him, she resorted to threatening. A complaint has been filed against the fan at the Santacruz police station. According to a report published in Hindustan Times, the fangirl has been identified as Archana Dange and is booked under sections 504 (punishment for intentional insult with the intent to provoke breach of peace) and 506 (punishment for criminal intimidation) of the Indian Penal Code (IPC). A police officer further confirmed, and as stated in HT, “Dange was waiting for the actor outside his home. On seeing him, she started hurling abuses at him and members of his family. She also threatened to physically harm the actor’s friend Natasha Dalal. 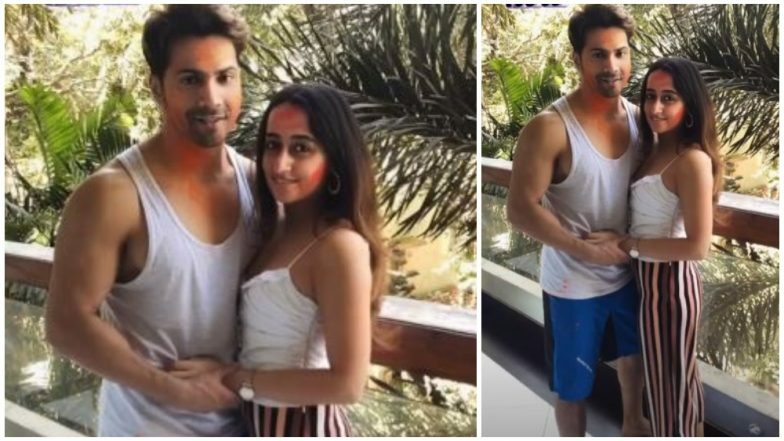 She also threatened to commit suicide.” Varun Dhawan FINALLY Reveals When Is He Marrying Natasha Dalal and The Answer is Unexpected! Talking about the actor, Varun is busy with the promotions of his upcoming film Kalank. The multi-starrer project also stars Alia Bhatt, Madhuri Dixit, Aditya Roy Kapur, Sonakshi Sinha and Sanjay Dutt in lead roles. Helmed by Abhishek Verman and bankrolled by Karan Johar, the film is slated to hit the theatres on April 17.